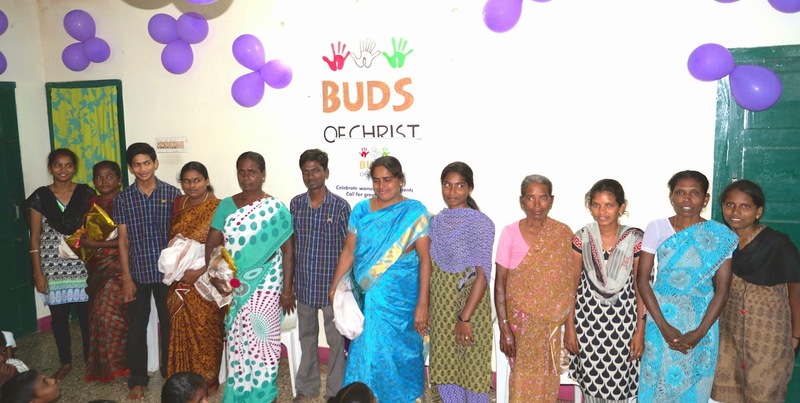 The international women's day was celebrated at Buds of Christ with the women and the children on March 8th.The center was decorated with purple baloons and rangloi to mark the celebration mood. Even the programmes that lined up was to acknowledge the six women achievers of Buds for the brave steps they took in their personal lives to surpass the challenges the family and culture imposed. A skit portraying the lives of women as empowered and fighting the challenging circumstances they currently face was put up by the young people of the centre. The centre also had the social workers from KKH women and children hospital,singapore share their bonding with the women with an encouraging message . Buds of Christ proposes to observe this week to acknowledge the bold faces who have overcome the challenges and stood firm to safeguard the rights of the children and supported them to realise their vision .These children are currently the evolving leaders who have committed to make a difference in the lives of others like them.